This book is awesome. I got hooked from the start. We’d love your help. 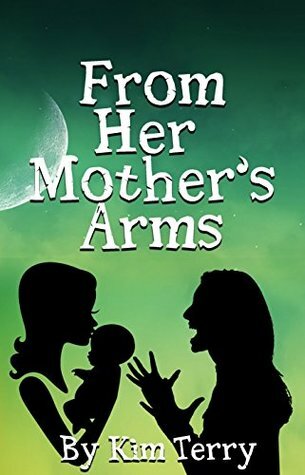 Let us know what’s wrong with this preview of From Her Mother’s Arms by Kim Terry. Mona Lisa, abandoned at birth and renamed “Rona” by a couple claiming to be her birth parents. When she turns seven, she finds out from the woman’s sister that the Fergusons have not only been lying to her but, also, that their sudden deaths have helped to close the “Case of the Missing ‘Mona Lisa’.” When the aunt dies and leaves Rona alone, her death catapults the girl in Mona Lisa, abandoned at birth and renamed “Rona” by a couple claiming to be her birth parents. When she turns seven, she finds out from the woman’s sister that the Fergusons have not only been lying to her but, also, that their sudden deaths have helped to close the “Case of the Missing ‘Mona Lisa’.” When the aunt dies and leaves Rona alone, her death catapults the girl into the foster-care system until a soft-spoken man at a support group leads her to a place of peace and, quite possibly, reunion.